Friendly service, nice bar for pre-dinner drinks. Very good choice of desserts! A Quinta is firmly established as one of the Algarve's top restaurants. Located just 2kms from Almancil town, it boasts fantastic rural and sea views with outdoor dining in the summer months. The menu offers a good choice of meat and fish dishes and vegetarians are also catered for. The wine list is concise and consists of regional Portuguese wines and French champagnes. 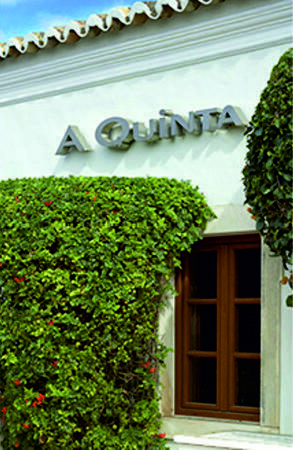 A Quinta offers a great dining experience in comfortable and friendly surroundings. Open for dinner Mon-Sat through the summer months. It is a relatively small restaurant with only 65 seats so booking is essential.